So many pretty things this week too! 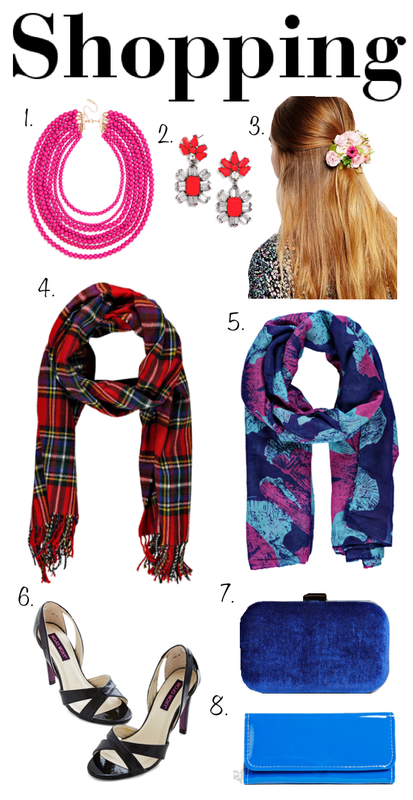 Babuble Bar had some great new arrivals – I especially love the necklace and circle earrings featured here. 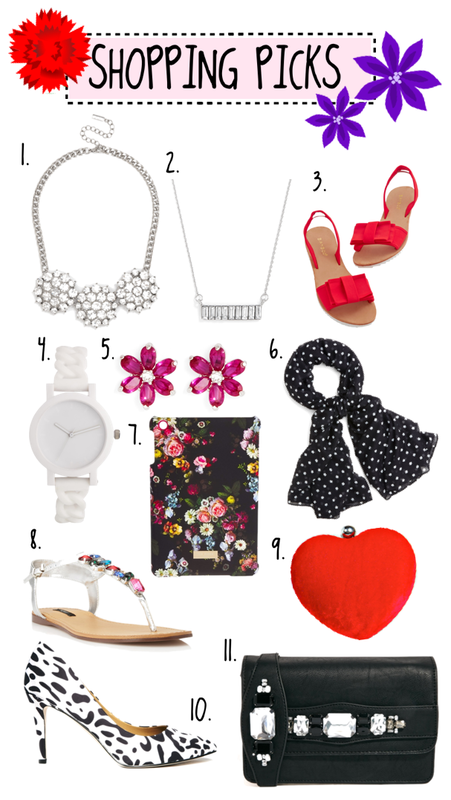 The Daisy New Look clutch is probably one of the cutest I’ve ever come across, and it’s only $25! I also love the two metallic heels, both would be so pretty to wear with lighter style spring/summer skirts and dresses. 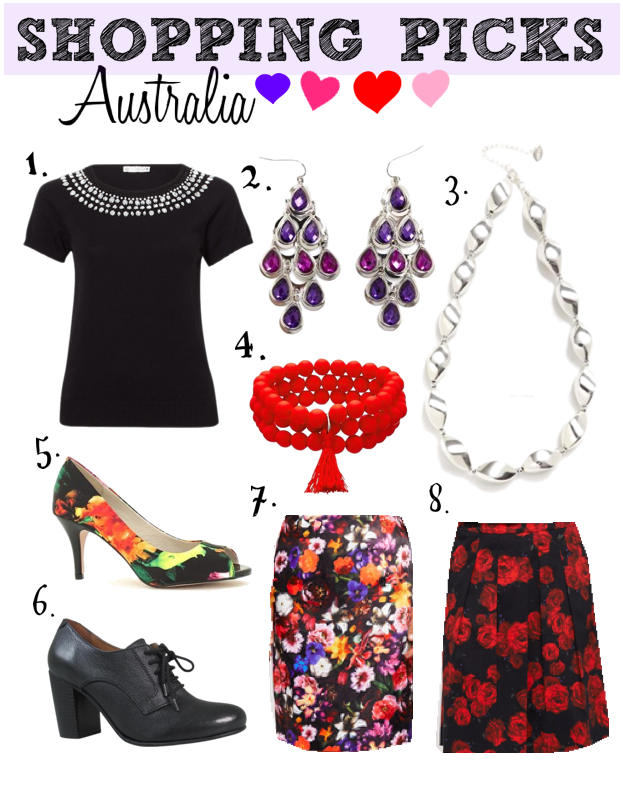 You might remember I featured this skirt last week in my Australian Shopping Picks! Well, I went in store again this week to actually try it on. It is absolutely stunning! I am in love with it. It actually has quite a sheen to it too (this shows more in the video online) which lends it more to dressier/night time looks. 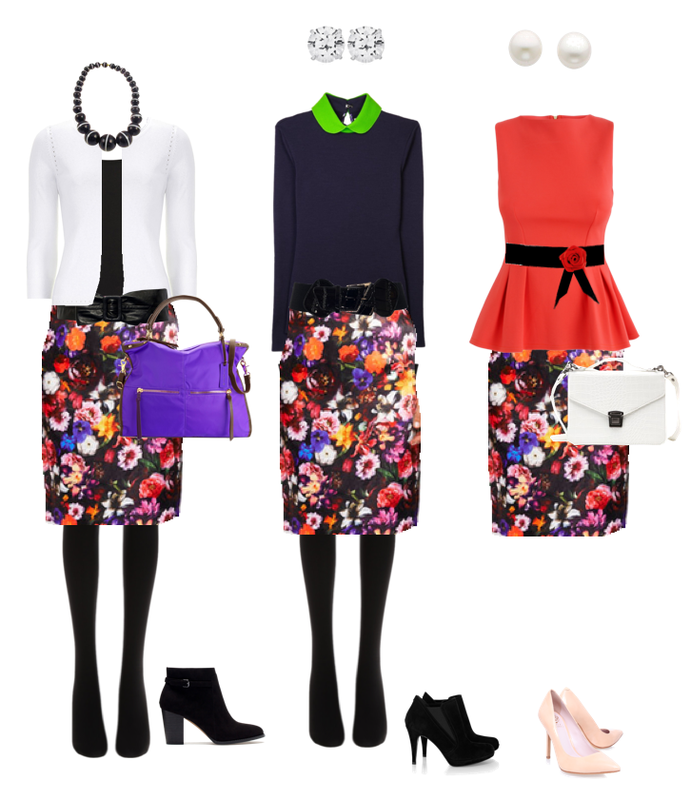 I thought I’d style it for all occasions here though as a general example of a dark floral pencil skirt. Jacqui-E does post internationally starting from $25. If you check it out make sure you double check the sizes as Australian sizes are a little different. 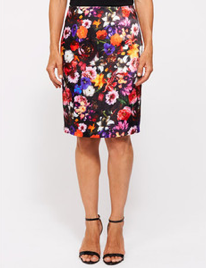 If I get a chance in the next couple of days I’ll try and track down some more dark floral skirts available internationally too. Which look is your favourite??? 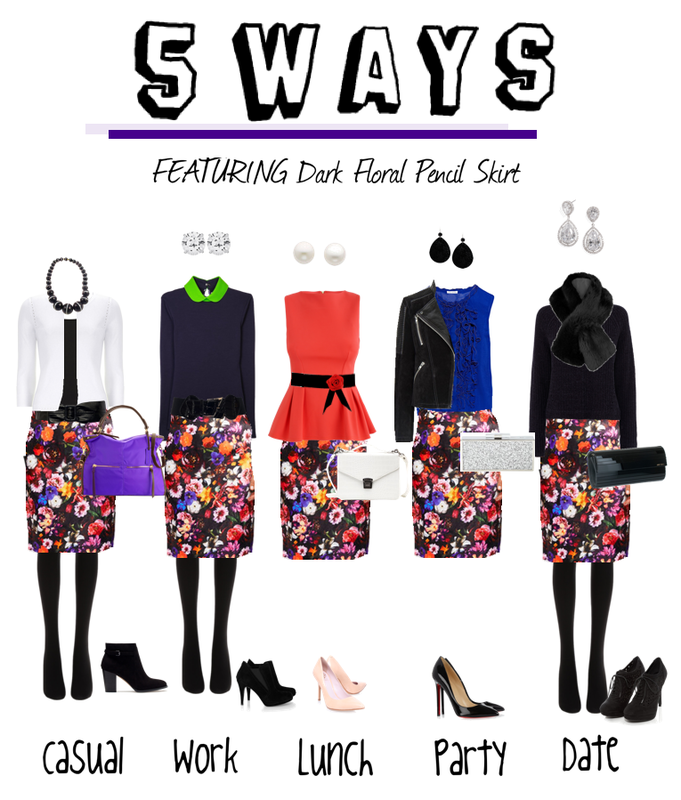 Are you in love with dark florals as much as me?? 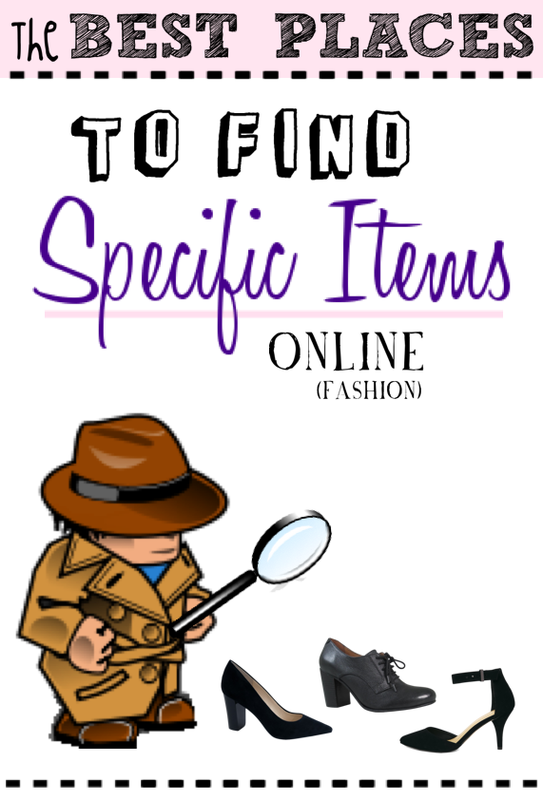 It’s been a couple of weeks since I looked around online shopping sites and wow! There is so much new stuff about! I saved about 40 items I loved and then found it really hard to narrow down to just a few to share here – but that’s ok as I’ll have plenty to share for the coming weeks now. I absolutely adore everything here. 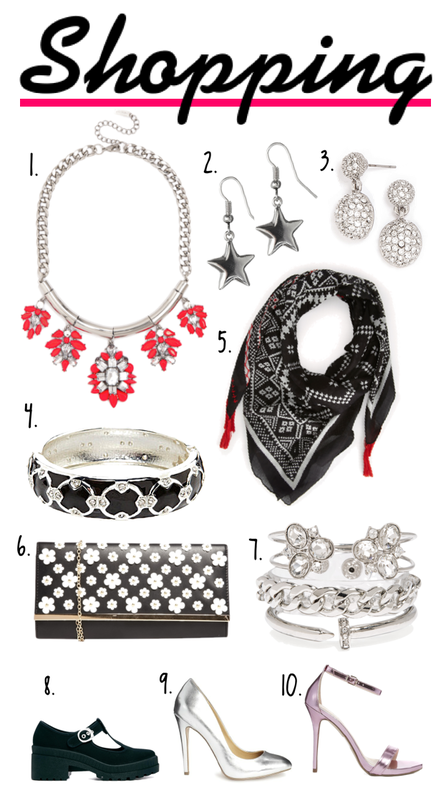 The two bags and the little daisy studs are definitely standouts for me though. Which items are your favourite here? I thought I’d share some of my favourite items from Australia this week as I’ve spent a few days shopping lately and have been seeing some lovely things. I have my eyes on these skirts in particular, both are incredibly gorgeous, I absolutely love them, and the colourful skirt comes in a dress too! Like anything you see? 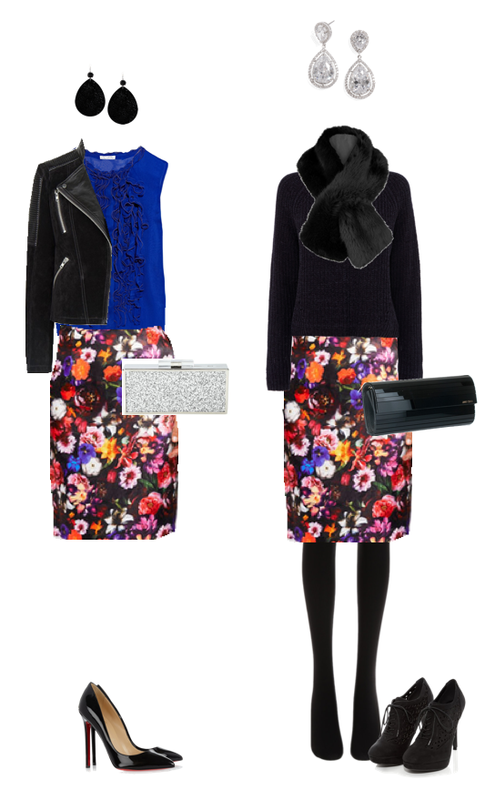 What new season trends are you loving in shops right now?